If you’re like most people, you know that there are some areas in your life that are not where you’d like them to be. There are some patterns, some negative thoughts and these are showing up as your being dissatisfied in your job, frustrated with relationships or maybe just living in constant worry about the other shoe dropping. Since it’s easier not to change than it is to change, chances are you’re also putting off taking the time to really dive in to what might be at the root of these issues in your life. As the days get colder, we naturally tend to go inward. In the later days of autumn in Maine, we have an opportunity to settle in for a day of doing deep, inner work. If you have been putting off working through any blocks/barriers/stuck places in your life, now might be the time. Many of us want to make changes in our lives, but we shy away from doing the work. It seems like too much effort and we have busy lives. But is this just our Ego trying to keep us from making change (which is unknown and scary)? What if just one day of inner work could actually represent a significant shift in your life? What if you could make a significant dent in releasing some of the fears that have been holding you back in your life? You will also learn how to trust your intuition to recognize what is just an Ego-story versus the gentle whisper of your Higher Self. I have seen clients make huge steps forward by just doing a few targeted writing exercises and guided meditations that identify the voice of the Ego in their heads. Once this voice is identified (and the accompanying negative thoughts that they tell us!) we can experience true freedom to take risks we have longed to take, or to experience magical synchronicity and guidance from their Divine support team! 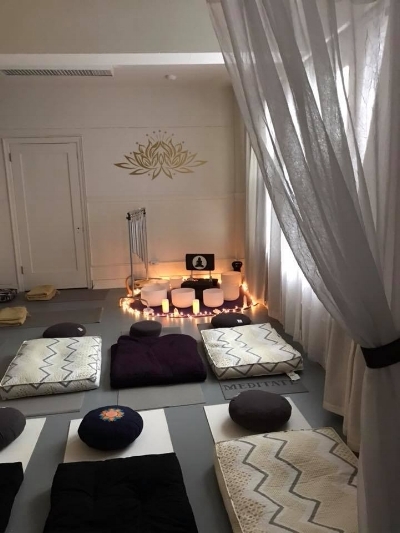 In this full day retreat in the heart of downtown Portland, you will spend the day with a small group of expanding souls like you meditating, writing and observing your inner world. In a cozy and open space, you will be able to excavate some of these long-standing inner obstacles with the support of an intuitive guide, listening carefully to your words and providing tailored guidance for what is specifically happening in your life now. And using group hypnotherapy and targeted writing tools, you will have the energetic space to go deep into your Higher Self to create a vision of your ideal future self, and to separate negative Ego beliefs held within the subconscious. Often misunderstood but potentially transformational, hypnotherapy is a powerful way to clear away deeply-held patterns or habits that are lodges in the subconscious, replacing these beliefs with positive thoughts. If you are ready to move past what has been holding you back from becoming the full expression of who you long to be, this retreat will give you the tools and the space to make a significant shift in your life. Hot tea, snacks and take-home writing tools provided. Sundays in downtown Portland are peaceful and quiet. Parking is free and there are nearby cafes open for lunch. Sunday, December 9. 2018 from 9 am – 3 pm at Presence of Mind Studio, Suite 531, 142 High St, Portland, Maine. Registration fee: $130 (Discount of $110 for Soulful Work Community members). A 2 for 1 discount to attend this retreat for just a few spots left! Save yours by Wednesday, December 4th! Use the coupon code 2FOR1. Space is limited for this retreat, so please register in advance by holding your spot here. 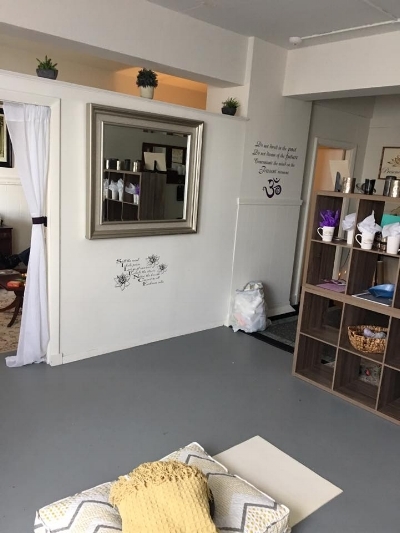 Looking forward to seeing you in this cozy space to go inward for a day of peace, healing and connection!